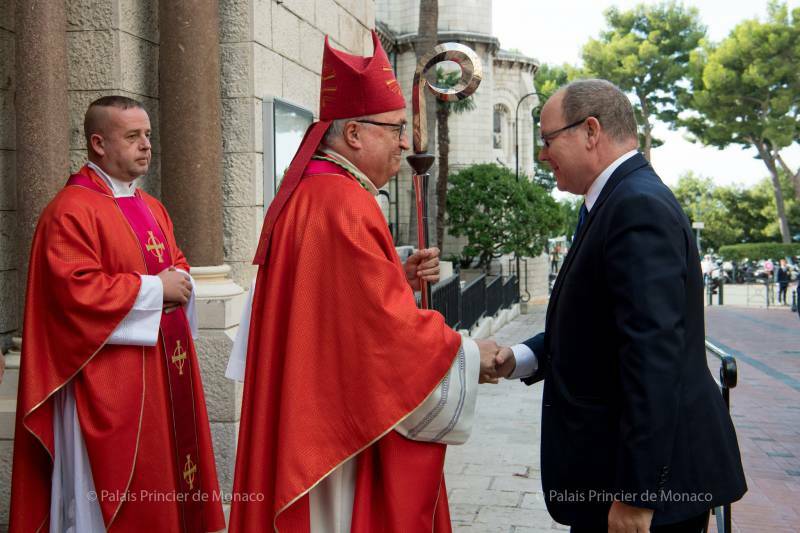 On Monday the 1st of October, Prince Albert II attended a solemn event for the return of the Courts and Tribunals at Monaco’s Courthouse. 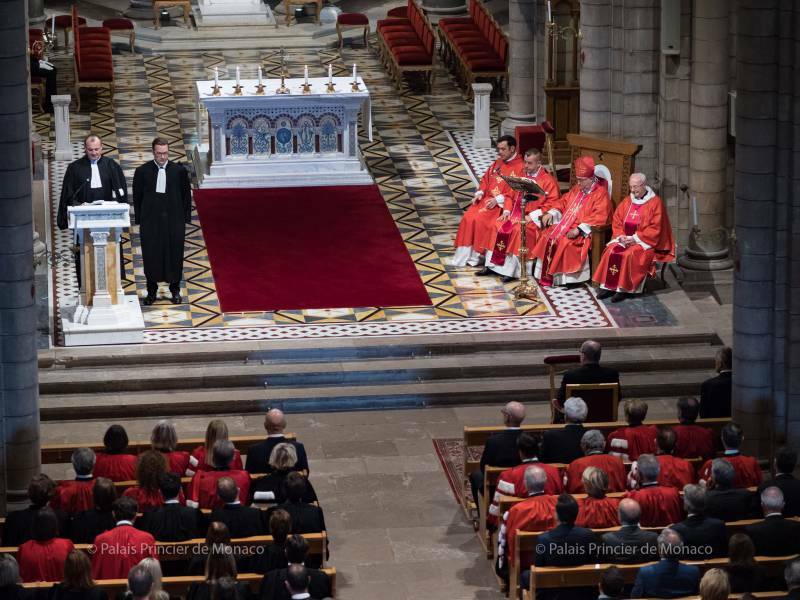 The ceremony was preceded by a Mass of the Holy Spirit celebrated at the Cathedral. 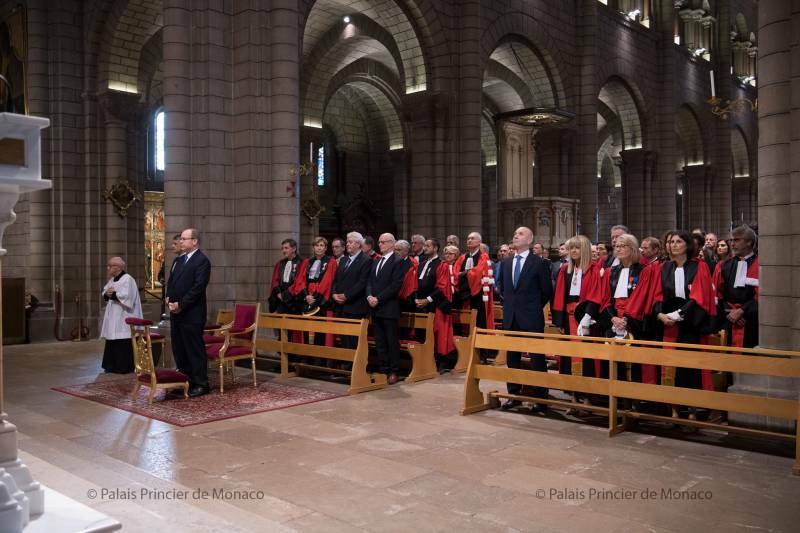 The 2018/2019 sessions are marked by the appointment of new magistrates in the Principality, including Mrs. Sylvie Petit-Leclair, the new General Prosecutor. Princess Charlene, who has always been committed to road safety, attended the 7th High Level Panel Meeting for Road Safety, which was held at the FIA ​​headquarters in Paris on the 1st of October. 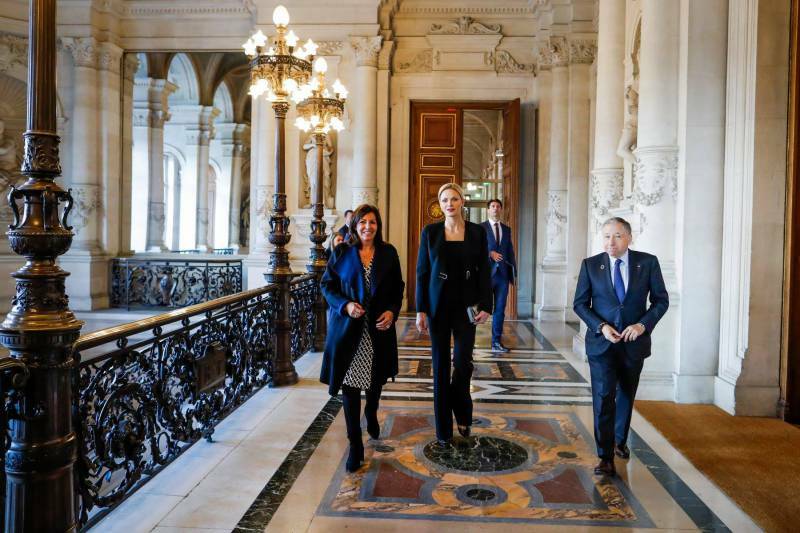 Princess Charlene was invited for lunch with Mrs. Anne Hidalgo at the Paris City Hall. She was accompanied by Mr. Jean Todt, President of the FIA ​​and Special Envoy for the UN General Secretary for Road Safety as well as members of the Panel. 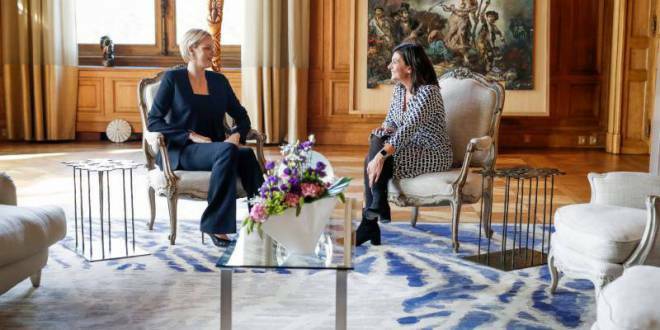 In the evening, Princess Charlene and members of the committee were received at the Elysee Palace by French President Emmanuel Macron and his wife Brigitte Macron. A film by the #3500LIVES campaign was screened at the Palace. The High Level Panel for Road Safety, set up by the FIA ​​in 2015, aims to engage the public and private sectors to participate in road safety operations in low and middle-income countries. This group brings together key decision-makers, international institutions and personalities to find innovative solutions to the challenge of road safety worldwide. 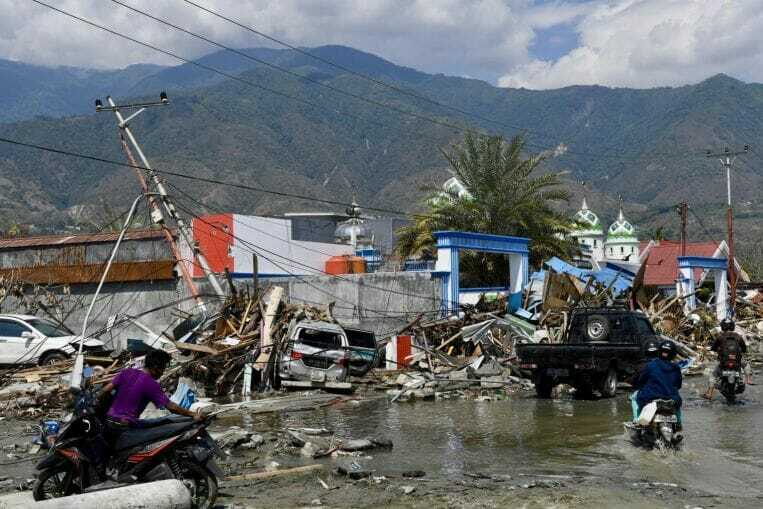 Recently, an earthquake followed by a tsunami swept the island of Sulawesi in Indonesia, killing over 1,200 people. 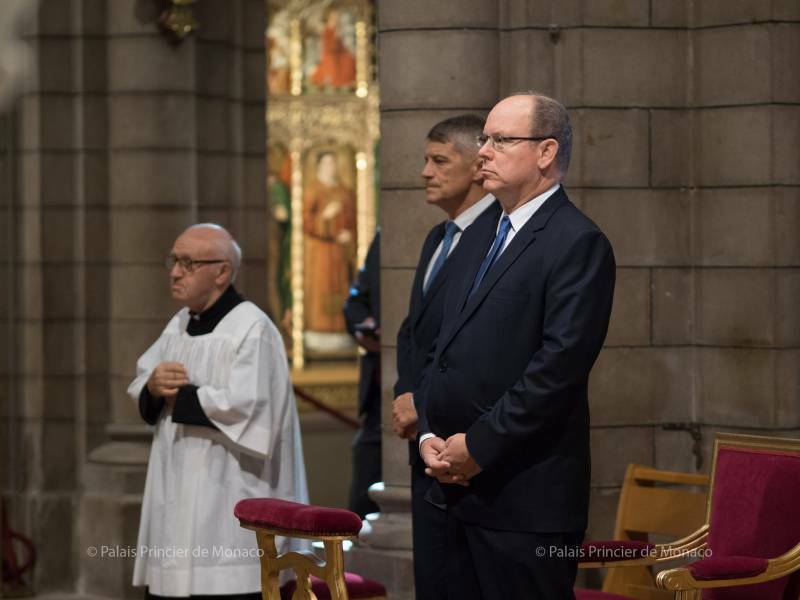 On Tuesday, Prince Albert II wrote in a letter to the President Joko Widodo, expressing his emotions and sending his deepest condolences to the Indonesian people struck by the disaster, in the name of the Monegasque people and the princely family. Prince Albert assured Joko Widodo of his full solidarity during these difficult times. 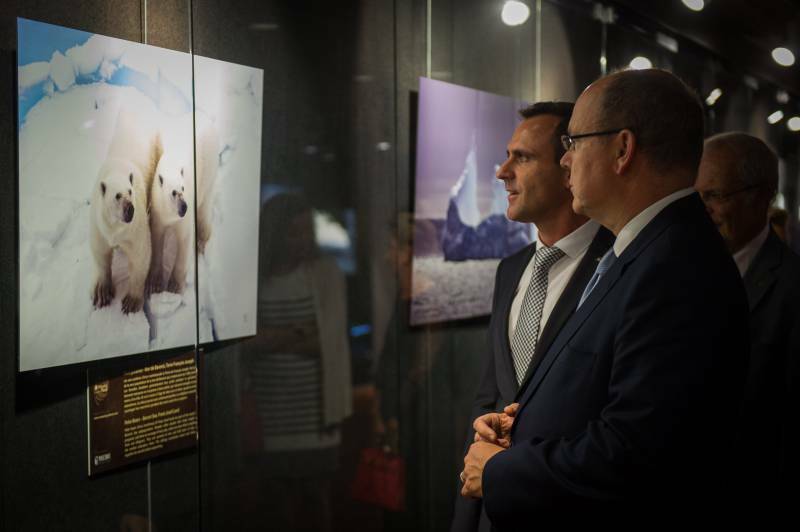 On Tuesday 2 October, Prince Albert II inaugurated the Polar Planet Exhibition created by Slovak photographer-explorer Filip Kulisev with the support of the Prince Albert II of Monaco Foundation. 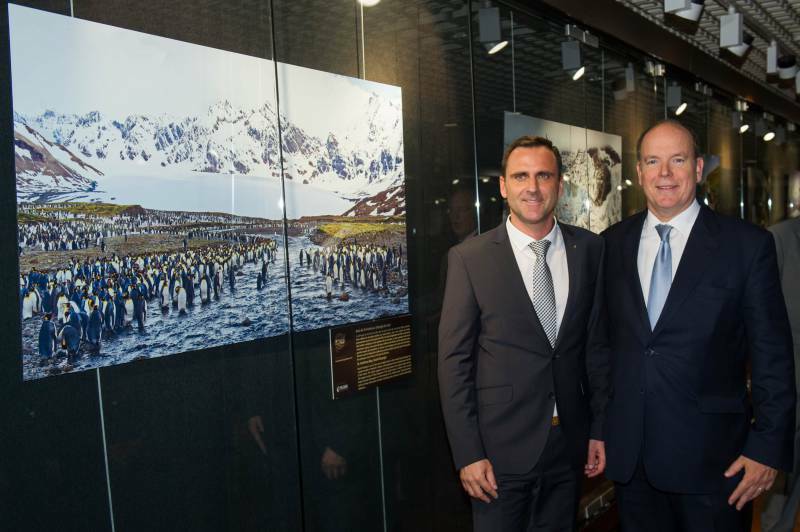 The large-format images reveal the aesthetic splendours of the fragile polar regions and are on display at the Galerie des Pêcheurs until 15 November. Particularly vulnerable to the effects of climate change, it seems especially necessary to raise awareness about the possible disappearance of these beautiful landscapes if humans do not change their relationship with nature. On the 3 October, HSH the Sovereign Prince swore in Sylvie Esparre as a member of the Board of Auditors. 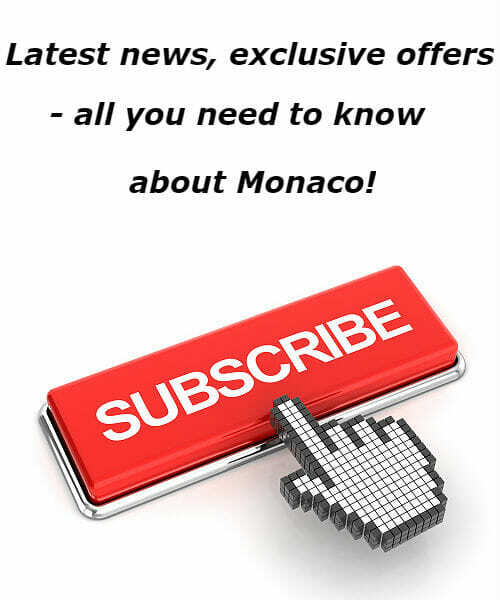 Sylvie Esparre was appointed to the Board by Sovereign Order No. 7.079 on the 10 September 2018, as a successor to Hubert Poyet, who resigned. 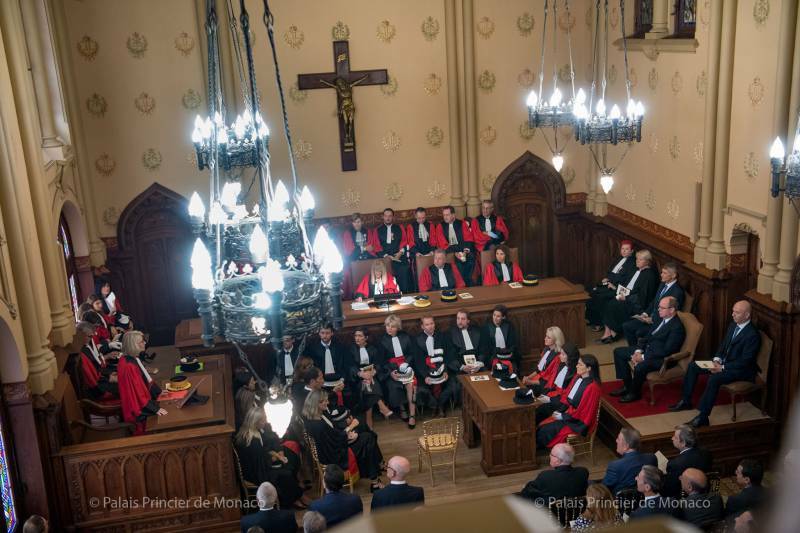 Sylvie Esparre previously held the position of Counsellor at the French Court of Audit and is now Honorary Counsellor at the same Court. 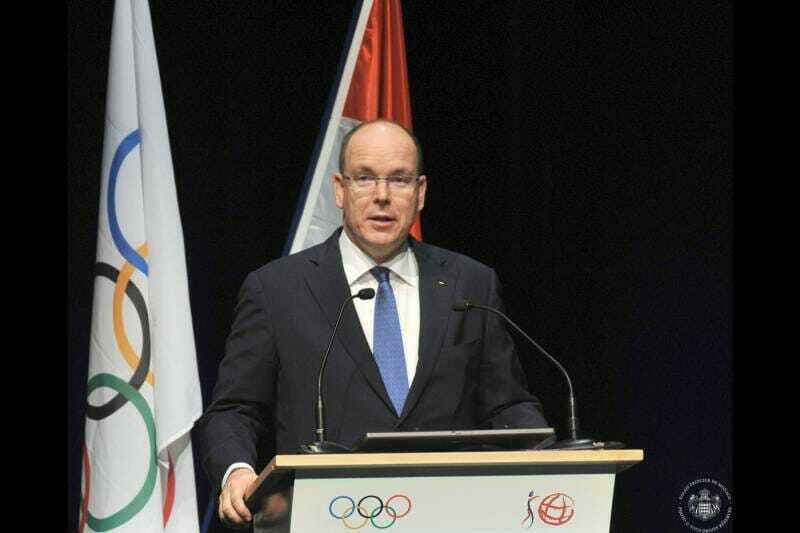 Prince Albert II arrived at the 3rd edition of the Summer Youth Olympic Games in the Argentinian capital of Buenos Aires. After having participated in the very first forum “Olympism in action”, the sovereign shared a moment with the Principality’s entire delegation. Prince Albert met the five young Monegasque athletes competing in three disciplines before an evening organized by the AMA (Association Monaco Argentina) in an Argentinian restaurant, complete with tango demonstrations. 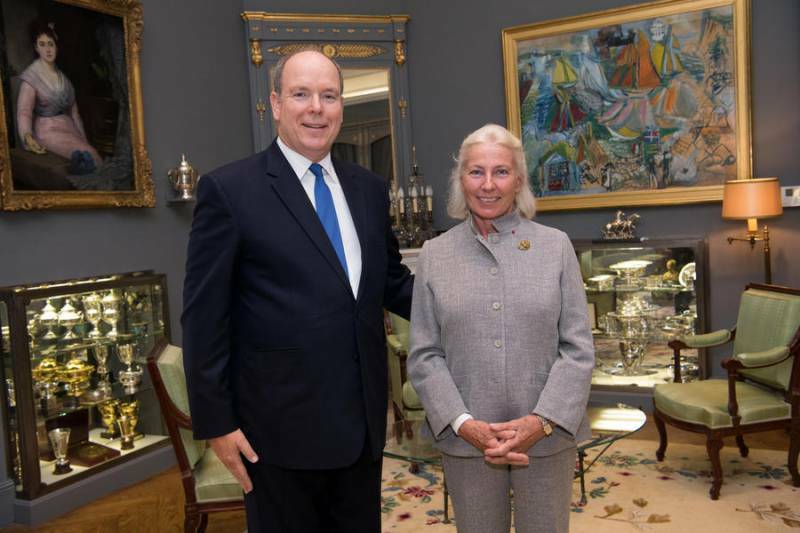 Yvette Lambin-Berti, General Secretary of the Monegasque Olympic Committee, thanked Prince Albert for his presence and constant support. 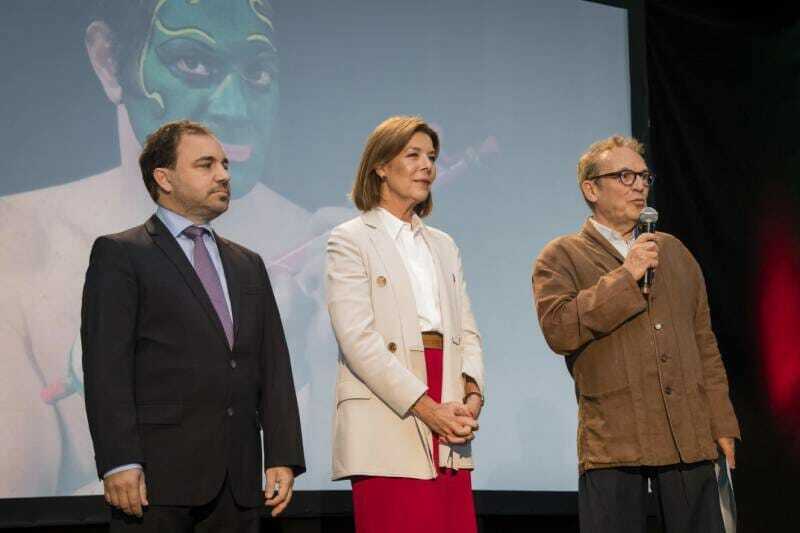 The Printemps des Arts 2019 festival program was unveiled in the presence of Princess Caroline at an unexpected location: the Pêcheurs parking lot! The wonderful musical festival, which runs from 15 March to 14 April has been showcasing delightfully unusual events for over thirty years. In a paved area where buses usually park, a cinema-screen room and cocktail tables were set up and director Marc Monnet revealed next spring’s program. Highlights include ‘Oktophonie’, which is an electronic-music composition by Karlheinz Stockhausen with specially placed speakers which will wrap the audience in sound. Performances by the BBC Orchestra, the Warsaw Sinfonia and an ensemble from Mongolia are also on the program, as well as baroque music and pieces by Beethoven. 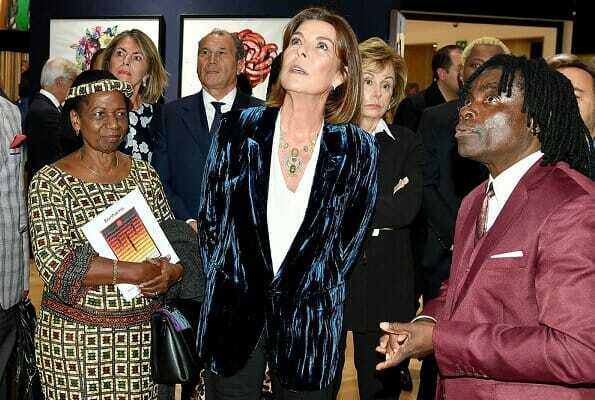 Recently, Princess Caroline of Hanover visited a private exhibition of art held for the benefit of the Malaika Foundation at Knightsbridge Bonhams in London. Founded in 2007 by international model Noella Coursaris Musunka, Malaika is a non-profit with the mission of empowering girls and their communities through education. 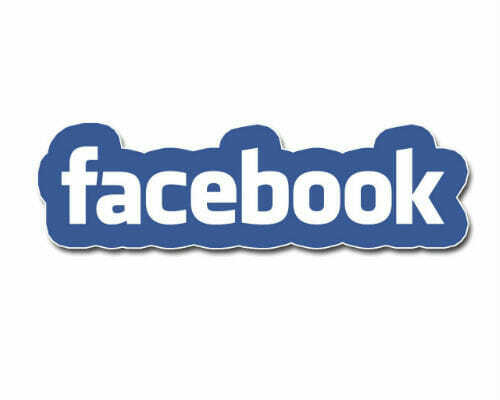 Based in New York, Malaika operates in the Democratic Republic of Congo. The Malaika Foundation has built a free school for 280 girls, 9 wells, and partnered with FIFA to build a community center in the village of Kalebuka. (Source: www.newmyroyals.com). 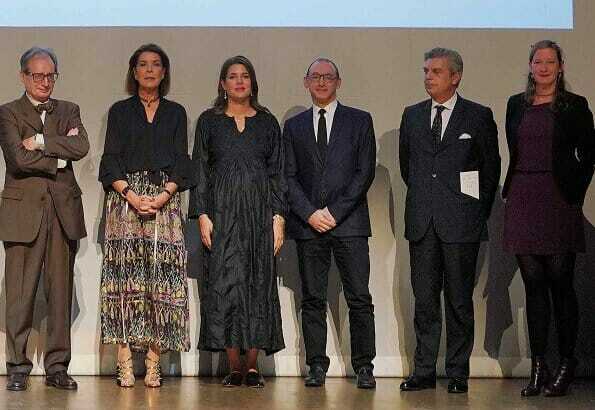 On October 4, 2018, Princess Caroline of Hanover and Charlotte Casiraghi attended The Prince Pierre Foundation’s 2018 award ceremony. 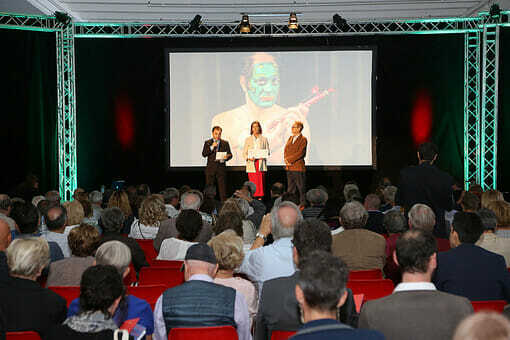 2018 awardees of The Prince Pierre Foundation Award: Musical Composition award, Thomas Larcher, Literary award, Maurizio Serra and Principality award, Jean-Luc Marion. The Prince Pierre Foundation was established on February 17, 1966 by Prince Rainier III in homage to the memory of his father Prince Pierre who was a great patron of literature and the arts. 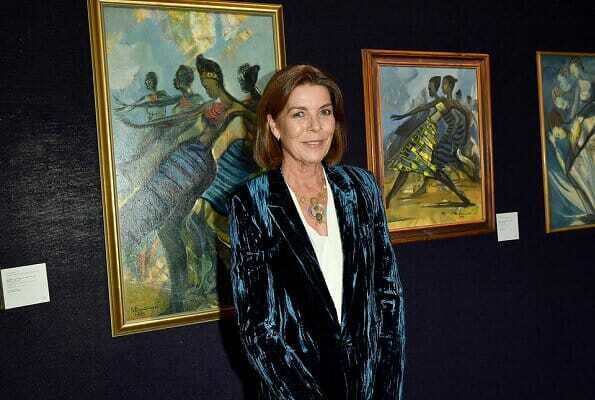 Today, the Foundation is chaired by Princess of Hanover and the aim of the Foundation is to promote contemporary art. (Source: www.newmyroyals.com).